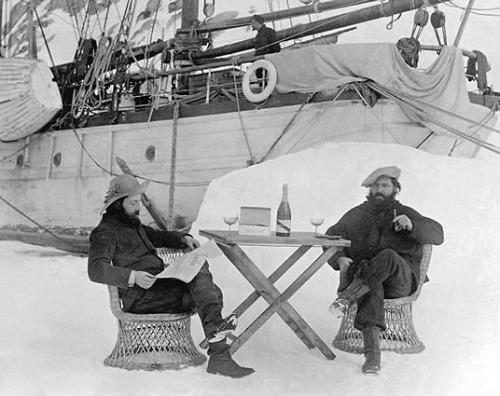 Captain Charcot (left) enjoys a glass of Mumm Champagne with his cartographer, Raymond Rallier du Baty, Antarctica, Bastille Day 1904. 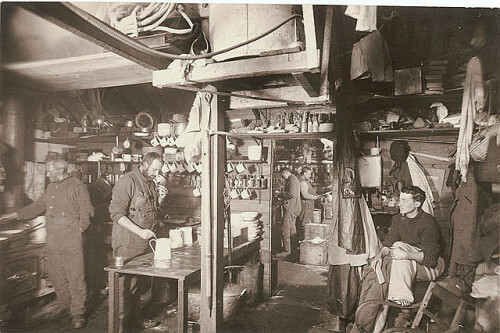 The kitchen inside Robert Falcon Scott’s hut at Cape Evans, Ross Island, Antarctica. 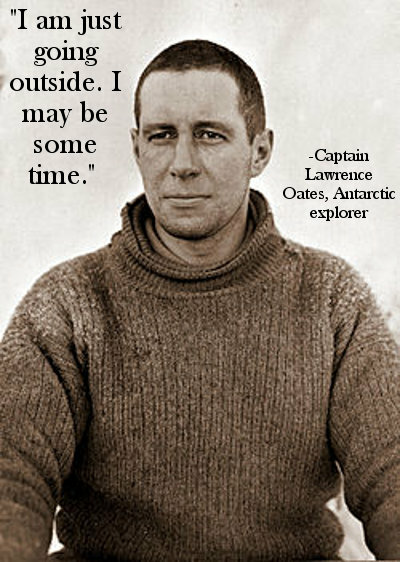 The hut was last used by Shackleton’s Ross Sea Party in 1916. 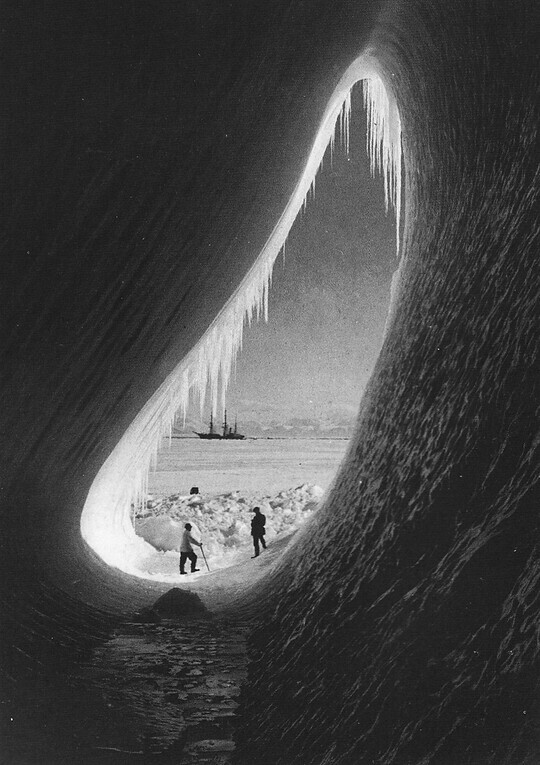 The annual sea ice had gone out in this 1961 photo of Ross Island.